The guest house „Haus am See“ is located in a quiet residential area directly at the Lake of Constance in Unteruhldingen. 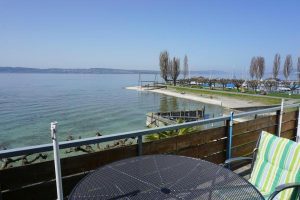 It has a private beach with a big, comfortable sunbathing area and a great view across the Lake of Constance to the Flower Island Mainau. We’ll be happy to provide you with a sun chair. At the end of the harbor you will find the landing stages of the Lake of Constance Fleet which brings you to all the different destinations in our wonderful region. • Comfortably furnished holiday apartments with a shower and WC, completely equipped with dishes and linen, TV and radio. Breakfast buffet can be arranged. • Well equipped singles, duplicates or three-bed rooms, also with shower and WC as well as TV and radio. Large breakfast buffed included. Almost all of our flats and rooms dispose of a spacious balcony with a great lake view. You can have breakfast in the generous breakfast room or you can sit outside in the yard and enjoy you breakfast at the lake side if the weather is nice. 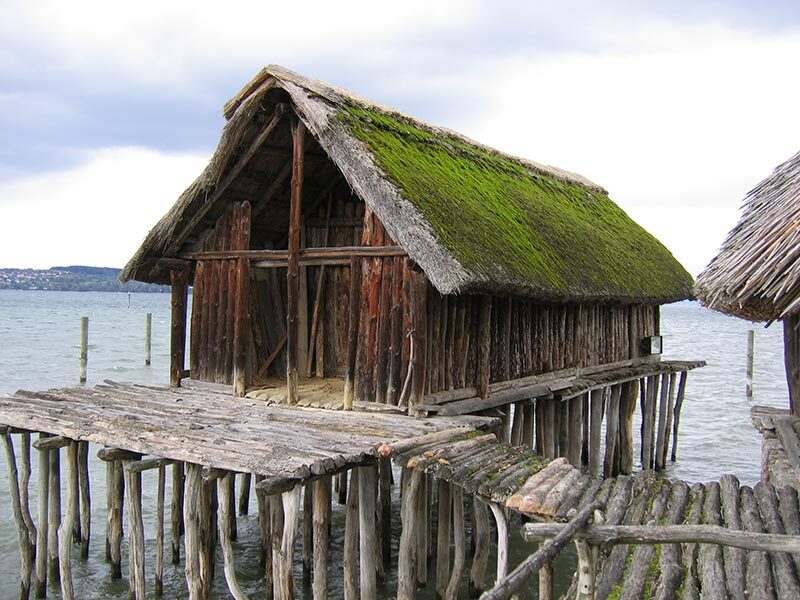 From Unteruhldingen you can explore the whole Lake of Constance area. 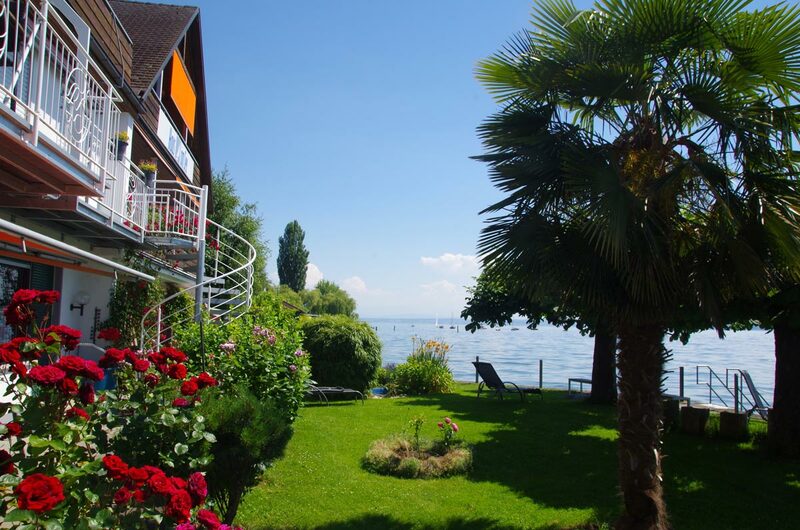 On walking tours, by bicycle, with the Lake of Constance Fleet, by train or by car you can easily reach close or distant destinations. There are many places of interests and historic sites all around the lake. The nearby Flower Island Mainau, the island Reichenau with her attractions, historic towns like Überlingen, Meersburg (Castel), Heiligenberg (Castel), Constance, Friedrichshafen, Lindau and Bregenz, the Rhine Falls in Schaffhausen – just to mention a few places. Many castles, museums, thermal baths, animal parks, hiking trails and lots more will draw your attention. We’ll be glad to assist you in planning your day trips and find out the right destinations for you.